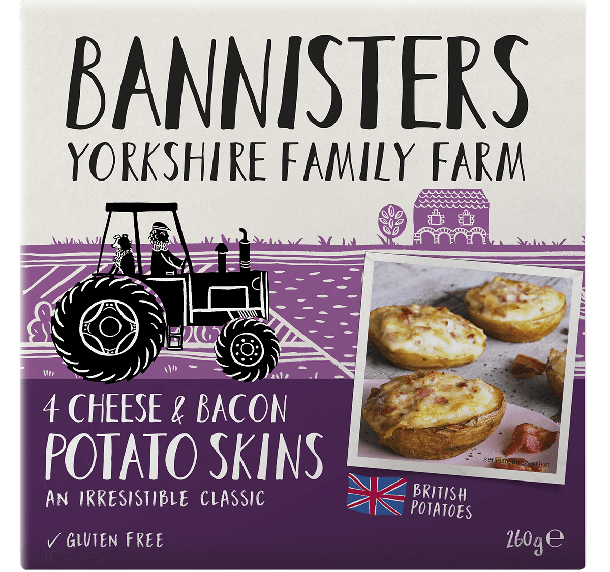 Oozing with mature cheddar and crispy little bits of bacon, these are our signature skins – and rather splendid they are too! 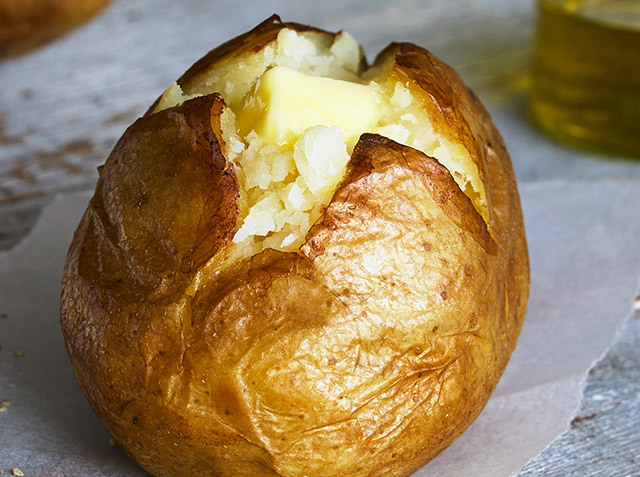 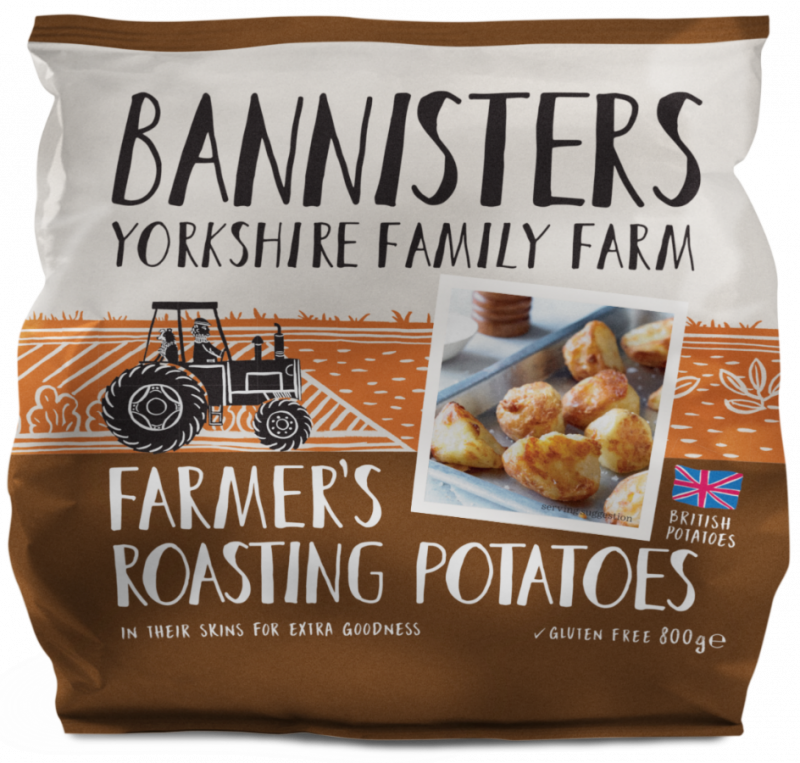 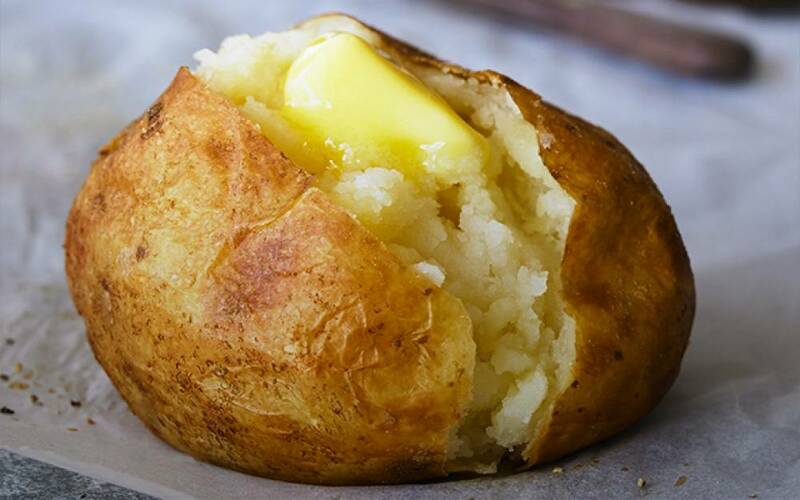 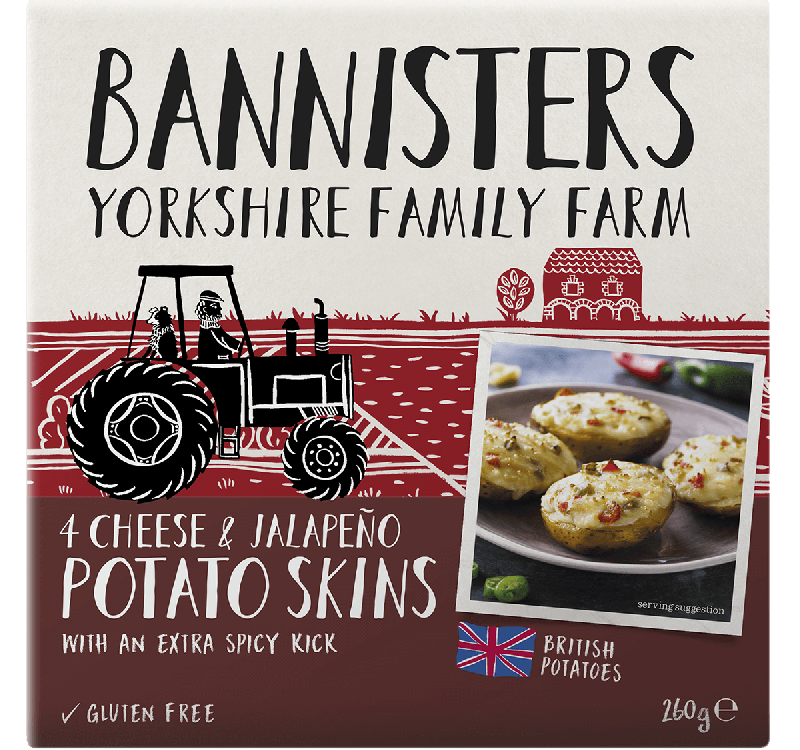 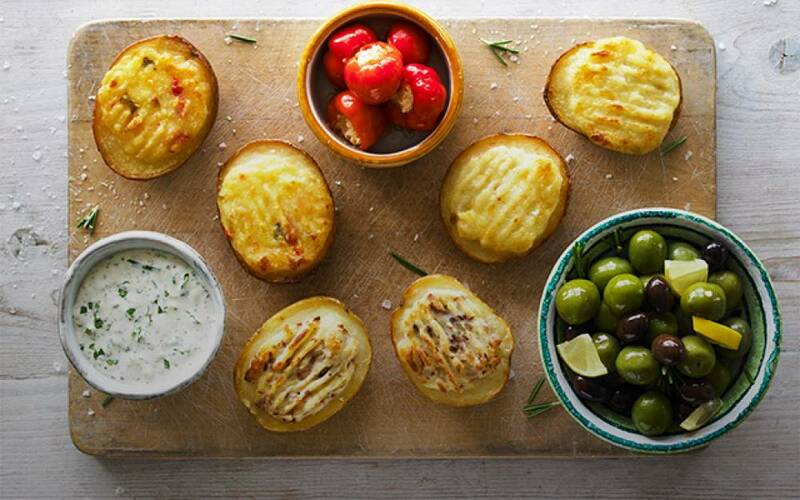 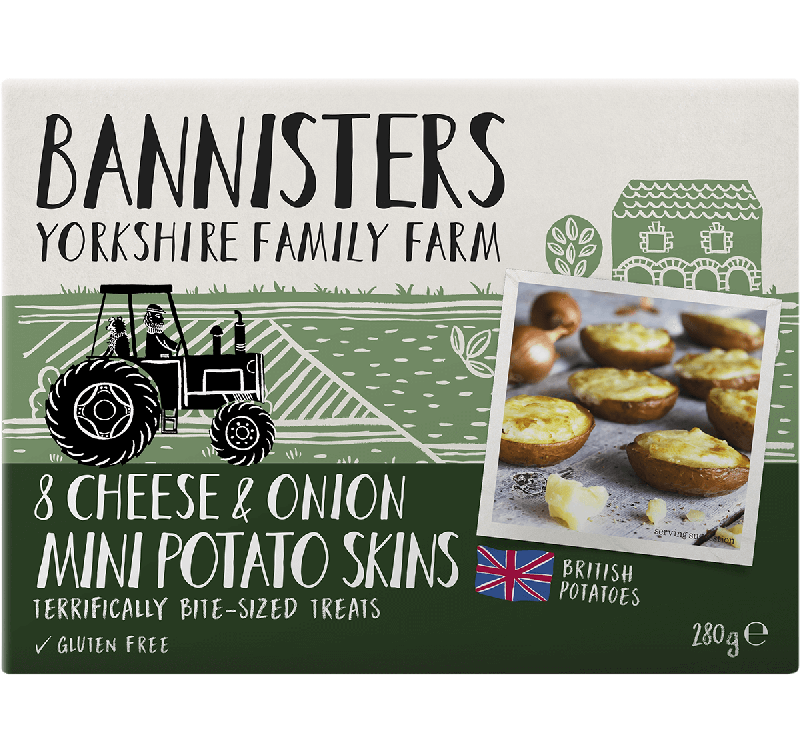 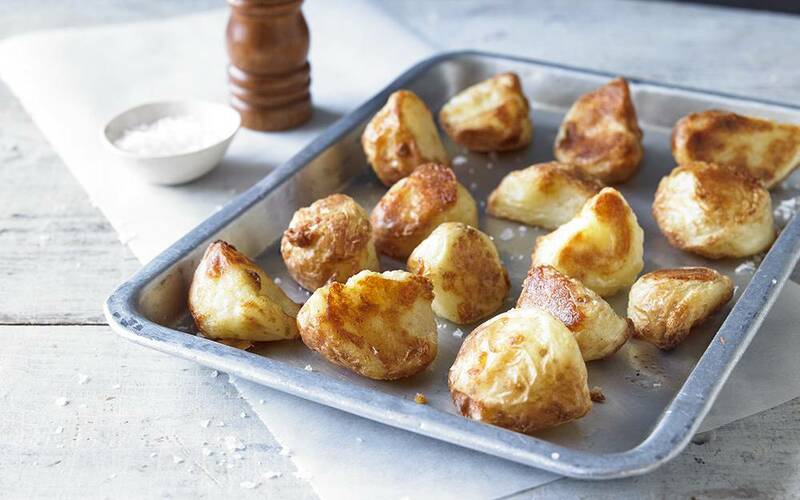 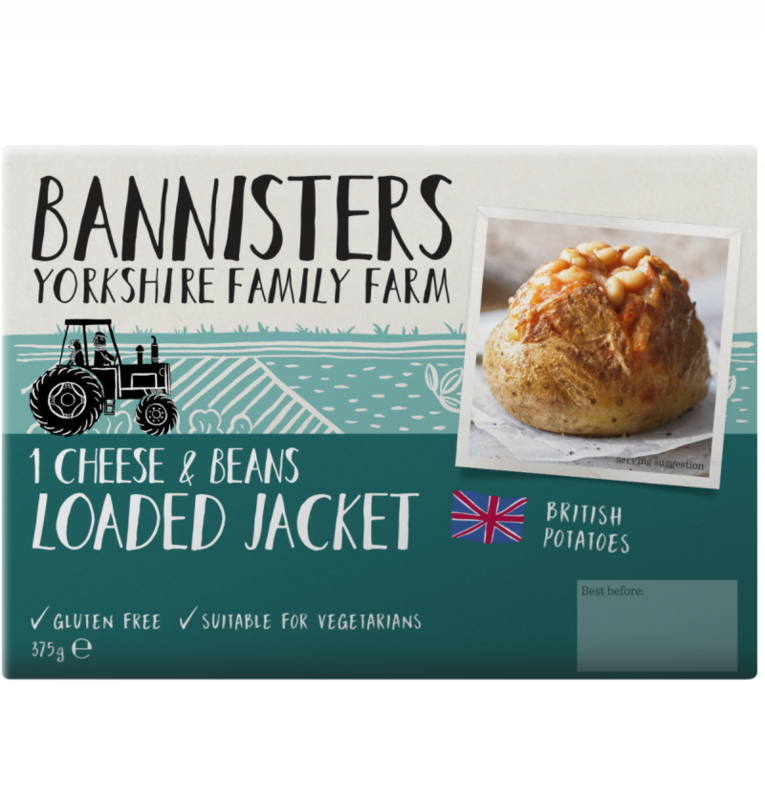 British Potato (70%), Water, British Cheddar Cheese (Milk) (8%), Smoky Bacon (5%) (Pork, Water, Salt, Sugar, Smoke Flavouring, Preservative: Sodium Nitrite), Sunflower Oil, British Monterey Jack Cheese (Milk) (3%), Mustard Powder, White Pepper. 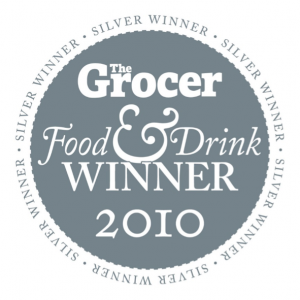 I am writing to say that myself and my children are absolutely obsessed with your products! 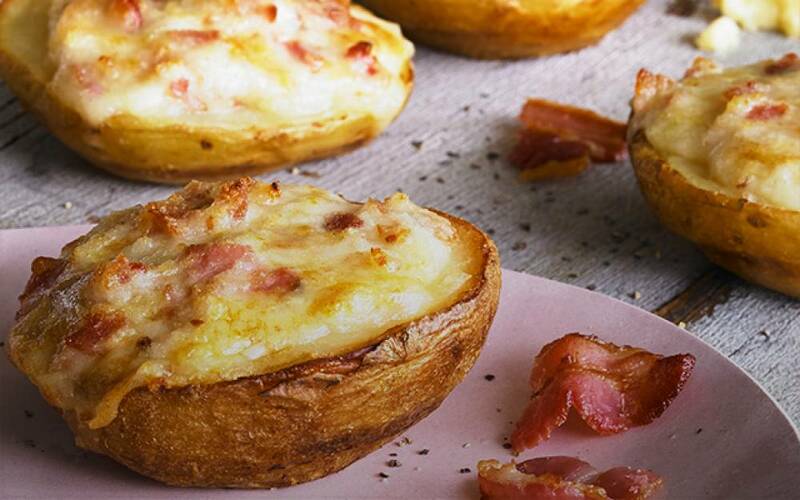 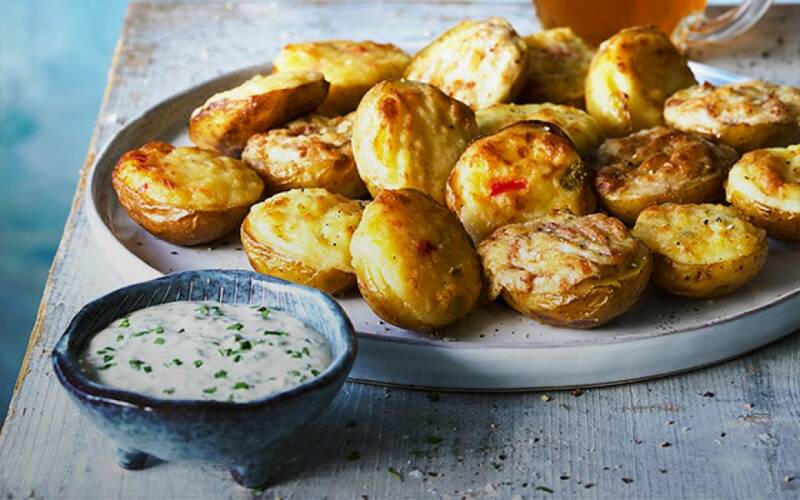 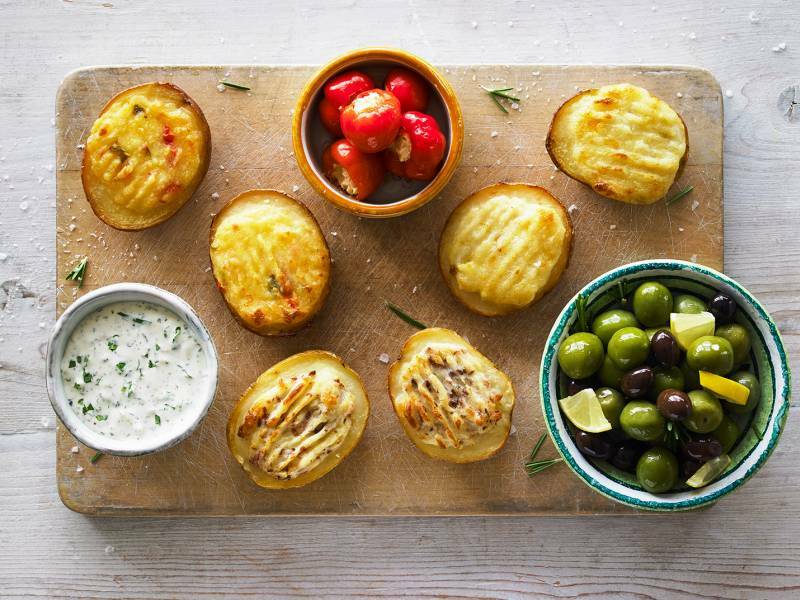 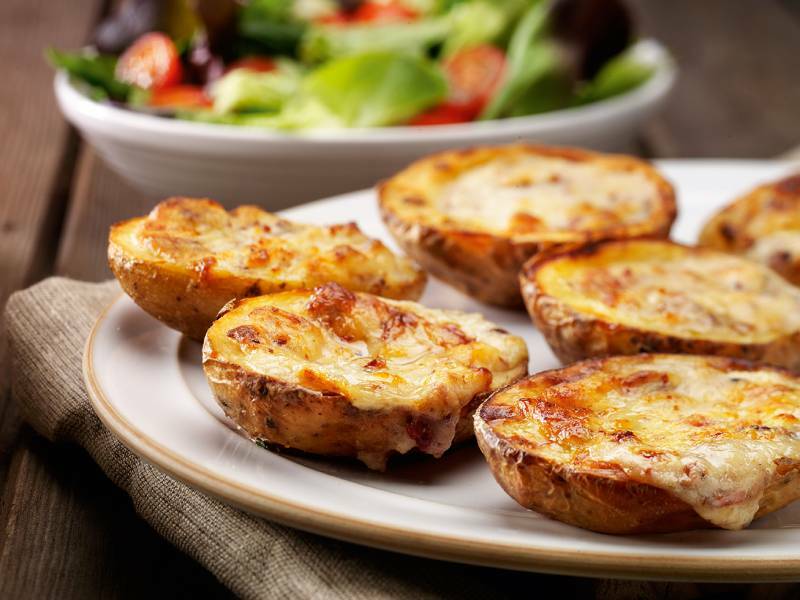 We especially love your cheese and bacon potato skins and the kids are always asking for them for dinner!